“The first time cultural geographer Merle Patchett saw Edmonton’s sprawl from the airplane, she felt the culture shock shared by so many European immigrants to the Prairie city. The place was built for the automobile: Endlessly sprawling suburbs, winding highways and, above all, strip malls. This month, Ms. Patchett, a native of Glasgow, Scotland, and the University of Alberta’s City Region Studies Centre have launched Strip Appeal. It’s a contest calling on designers, architects – anyone really – to retrofit the much-maligned strip mall for the future. 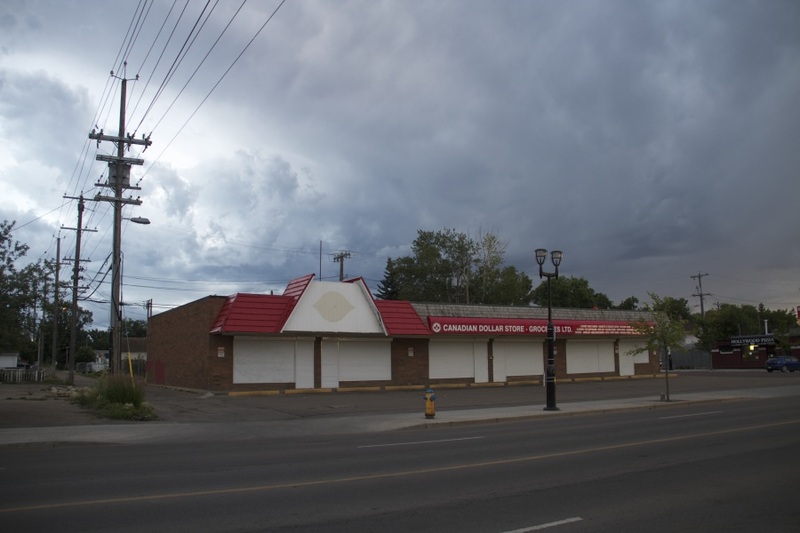 … The trick now is to figure out how Canada can destroy its strip malls while saving their cultural “genetics,” wrote Michael von Hausen, a Vancouver-based community planning consultant, in an email to the Post. Canadians must figure out how they can destroy their strip malls without destroying the small businesses and cultural hubs within them.